Adding salt to boiling water adds flavour to pasta. Question: I love to cook pasta and never know when (or if it is necessary) to add salt to the water. Here’s my question: does water boil faster if you add salt? Answer: I took on this challenge — I put one cup of water in one pot and one cup of water plus one tablespoon of salt in the other. I was amazed at how much faster the salted water came to a boil. Along the same lines, if you take two identical pots and add one gallon of pure water to one pot and one gallon of 20 per cent salt water to the other and heat the two pots on identical stoves, the pot containing the salt water will come to a boil first. In terms of best pasta flavour, salt should be added to the water unless you are on a low-sodium diet because it does enhance the overall flavour. 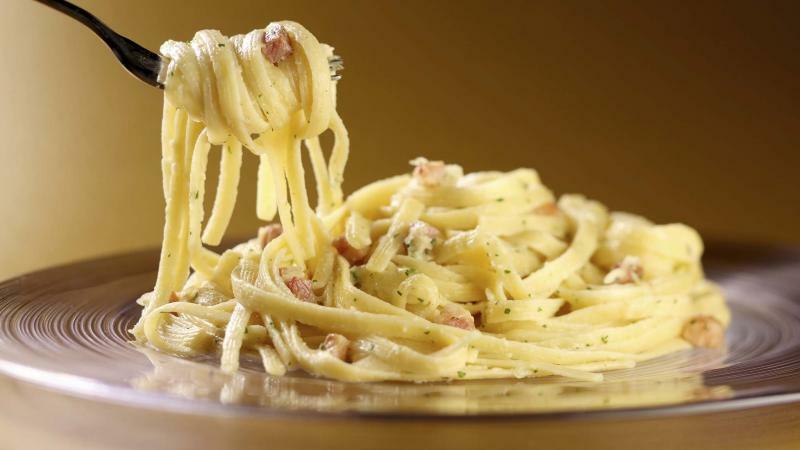 Cooking pasta in salted water means the pasta will absorb some of the salt, and therefore not taste bland. This cannot be corrected by salting the pasta later or adding salt to the sauce. All you end up with is bland pasta with a salty exterior. Chefs often add quite a bit of salt to the water, so it tastes like water from the ocean (don’t worry, most of this will go down the drain). Salt may be added before heating the water, or once the water has started to boil. However, allow the salt to dissolve before adding the pasta. Question: My daughter wears waterproof mascara and has used our white facecloths to remove it. How do I get it out of the facecloths? I have tried straight bleach and still nothing. This stuff wears like iron. Answer: Your dilemma sounds as though you have already tossed the washcloths into the washer and dryer. If this is the case, you might want to take the easy approach for getting rid of the stains by using RIT dye remover, according to the directions on the box. However, to tackle fresh mascara stains, rub a wet bar of Sunlight laundry soap onto the stain before washing. You can also drop a liberal amount of dish soap and water over the stain and leave for a couple of minutes before washing. The reason this is effective is that dish soap is a grease cutter, which is great at tackling oily stains. Do not toss washcloths into the dryer until the stain is gone. Alternative solutions include: hot water and washing soda (great grease cutter), or glycerin, or borax (not as strong as washing soda), waterless hand cleaner (found at hardware stores) or shaving cream, which is basically whipped soap with glycerin added.